Guest Post: Dr. Kevin Hall Asks Is The Carbohydrate-Insulin Theory Dead? For those who don't know Kevin, he's a researcher with the NIH and is undeniably one of the world's foremost experts in the area of metabolism. 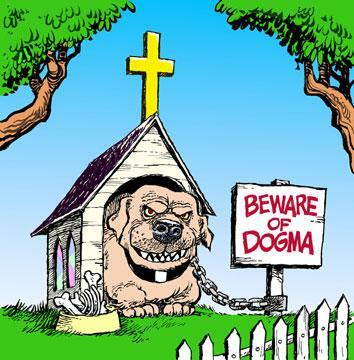 Last week he published a study that I tweeted out, "would be sure to rock the dogmatic", and it certainly did. There's been lots of angry comments and criticisms, and I thought it'd be great to hear from Kevin himself and I invited him to weigh in. And just as a reminder to readers, I have no horse in this race. As far as success with weight management goes, adherence is king and consequently I'm for any diet that a person enjoys enough to sustain. I also don't think low-carb diets are risky, I have patients in my office on low-carb diets, and I have been highly critical of studies that purported low-carb diets were dangerous when in fact it was more that those studies methodologies were poor. I put this proviso out there because when it comes to discussions about the tenets of low-carb dieting, the volume, and the nonsense, tends to rise rapidly. Is the carbohydrate-insulin theory dead? Maybe not, but it’s at least wounded. At the time, I read these proclamations with great interest. I had just begun collecting data from a carefully controlled metabolic ward study which is the first to avoid the confounding nature of changing multiple macronutrients at once. Thankful to have an understanding of clinical trial design equal to an average school child, I also realized that our study would directly test Mr. Taubes’ version of the carbohydrate-insulin theory which has become greatly influential. We confined 19 consenting adults with obesity to a metabolic ward at the NIH Clinical Center for a pair of 2 week visits where all food intake and physical activities were monitored and controlled. For the first 5 days we fed people a standard baseline diet whose calories matched their energy expenditure and was composed of 35% fat, 15% protein and 50% carbohydrate with about 20% of total calories coming from sugar which is believed to represent a typical habitual diet. We then the cut diet calories by 30% for the next 6 days, either entirely through restricting carbohydrates (RC), keeping protein and fat at baseline, or selectively restricting fat (RF) keeping protein, carbs and sugar at baseline. On their first visit, the participants were randomly assigned the RC or RF diet. After a 2-4 week washout period, they returned for a second 2 week visit when the alternate diet was delivered. Therefore, both diets were studied in the same people. The diet changes resulted in an average ~800 Calorie reduction from baseline and the composition of the RC diet was 21% protein, 50% fat, and 29% carbohydrate with ~8% sugar. The RF diet had the same calories and was 21% protein, 8% fat, and 71% carbohydrate with ~35% sugar. According to the carbohydrate-insulin theory, the RF diet should not lead to body fat loss because insulin secretion won’t decrease since total carbohydrates, sugar, and protein were unchanged from baseline. According to Mr. Taubes, if insulin doesn’t decrease, then fat is effectively trapped in fat cells. In contrast, because the RC diet decreased total carbohydrates and sugars, insulin secretion should decrease thereby mobilizing fat from fat tissue and increasing net fat oxidation resulting in body fat loss. All but one of these predictions of Mr. Taubes’ version of the carbohydrate-insulin theory held true in our study. Unfortunately, a theory is disproven when any of its major predictions fail, and in this case the failure was a doozy! Despite no significant change in insulin secretion, the RF diet resulted in body fat loss by all measures. This finding alone was enough to disprove the claim that body fat loss requires decreased carbohydrates and insulin secretion. Furthermore, the RF diet led to a significantly greater rate of fat loss than the RC diet using the most sensitive method for measuring body fat loss: metabolic balance. The other measurement of fat mass change (DXA) showed no statistically significant difference between the RF and RC diets, but this method is known to lack the precision required to detect such a small difference in body fat. Another complaint is that the study only lasted for 6 days and therefore was not long enough for subjects to become “fat adapted”. However, it actually takes less than a week to reach a plateau in mobilizing fat from adipose tissue to provide the fuel required to support the increased fat oxidation which also reaches a plateau within 1 week. Many previous studies have observed this rapid transition to increase fat metabolism and it was also observed in our study with the RC diet. There is no evidence that fat oxidation increases after the first several days of cutting carbohydrates. However, this does not negate the fact that longer time periods, perhaps weeks, may be required to optimize exercise performance or improve general feelings of well-being on low carbohydrate diets. This is what most people mean when they say “fat adapted”, but exercise performance and cognitive function were not important for our study results. Many of my critics in the low-carb camp have ignored the caveats that this basic human physiology study does not imply that low-carb diets don’t work. They may even be preferable for many people. I have repeatedly acknowledged that prescribing low-carb diets appears to be more effective in outpatient randomized controlled trials, at least for several months when diet adherence is likely to be highest. The question is why? Our small contribution is that Mr. Taubes’ version of the carbohydrate-insulin theory likely isn’t the explanation. As a parting thought, imagine that the study results had been different. What if instead we found no changes in body fat with the RF diet? Would there still have been passionate objections from the low-carb community, or would this study have been touted as a major victory for the carbohydrate insulin theory? Dr. Kevin Hall is a tenured Senior Investigator at the National Institute of Diabetes & Digestive & Kidney Diseases, one of the National Institutes of Health in Bethesda MD, where his main research interests are the regulation of food intake, macronutrient metabolism, energy balance, and body weight. Dr. Hall’s laboratory performs experiments in humans and rodents and develops mathematical models and computer simulations to help design, predict, and interpret the experimental data. Dr. Hall is the recipient of the NIH Director’s Award, the NIDDK Director’s Award, the Lilly Scientific Achievement Award from The Obesity Society, the Guyton Award for Excellence in Integrative Physiology from the American Society of Physiology, and his award-winning Body Weight Planner (Yoni note: Indirect blog post on this forthcoming) has been used by more than a million people to help predict how diet and physical activity dynamically interact to affect human body weight.